Bellino Fine linens Lace Embroidered Bedding - Swatches may be available. Bellino Fine Linens Lace Embroidered Bedding Collection. Bellino Lace projects beautiful leaf embroidery on a delicate open weave. 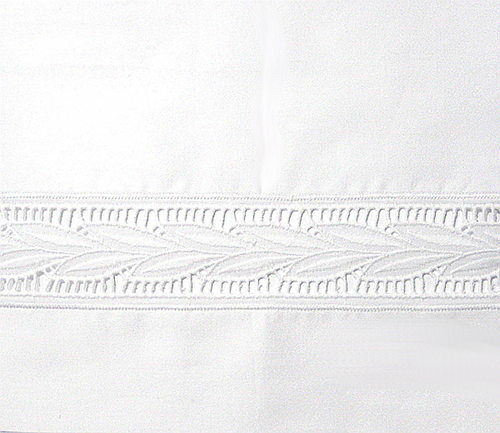 Bellino offers moderately priced embroidery on Italian Fine Linens. 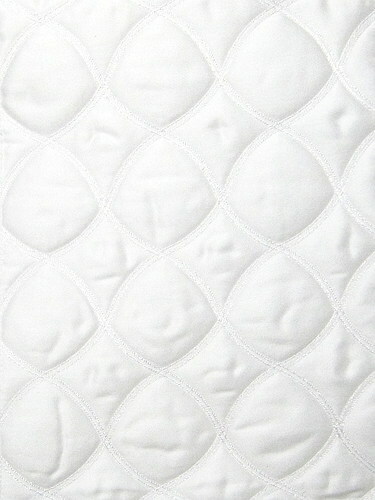 100% Egyptian long staple cotton, 300 thread count sateen. Fitted sheet fits up to 17" mattress. Machine Washable. Made in Italy. 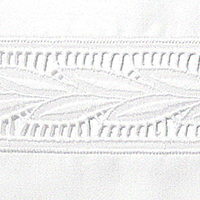 COLORS: White background with white embroidery.